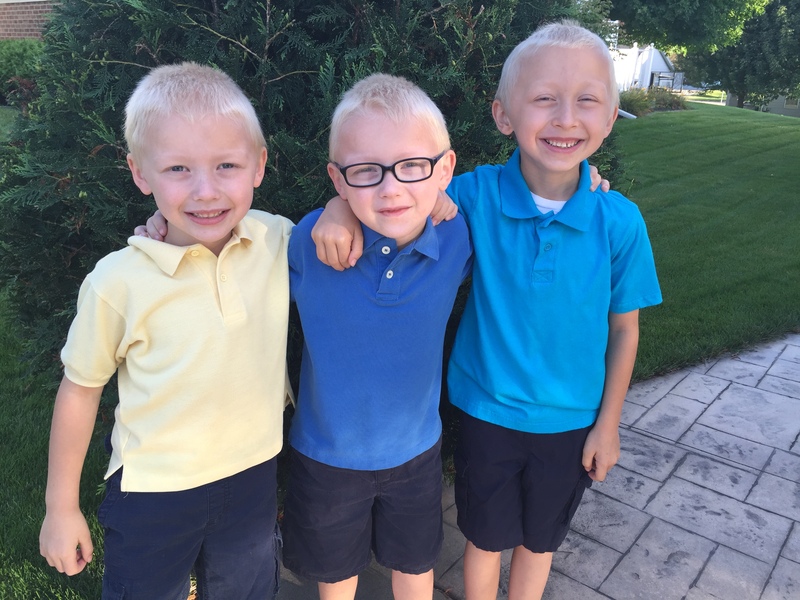 All three boys are in school full time now, which is different for me. I’ve enjoyed getting into the new routine. I’m amazed how productive I’ve been able to be in my virtual assistant work when they are in school. As well as having time to tackle other work and home projects that are going on. I think we are all excited to get back into a routine. 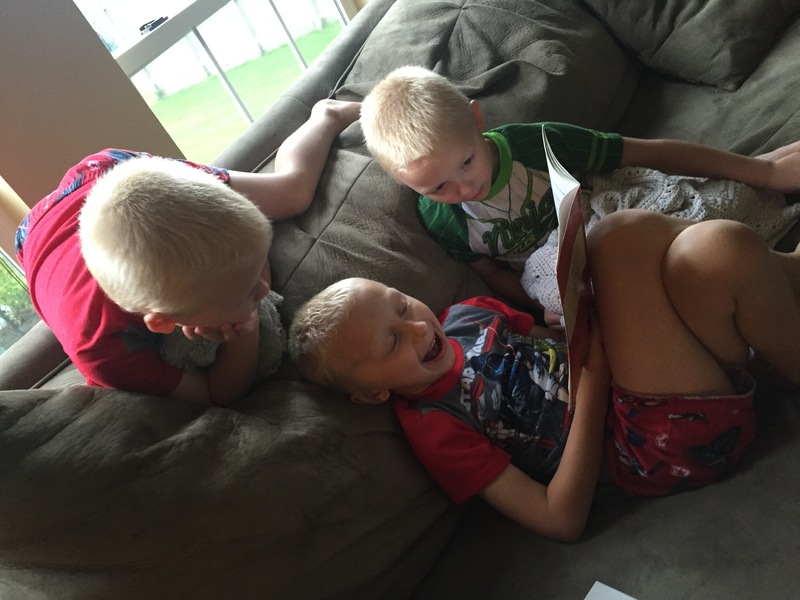 Homework hasn’t “officially” started for anyone, but knowing that second grade will bring more regular homework for Noah, we started to get into the routine of doing worksheets and reading right when we got home from school. I was expecting some push back, but was amazed how well all three are doing with it. Other than that, we are not very exciting these days and I like it that way. We have yet to sign up for any “extra” activities for the fall, even though there has been talk of both Lego League and hockey. We’ll see how things go. The boys have been great helpers in taking care of Garth, who requires more care and attention these days. He is celebrating his 13th birthday and slowing down quite a bit. He can’t go up and down the stairs as much anymore and needs hourly bathroom breaks. But he’s still a good dog and we love him. They boys are happy to shower their love and attention on him how they can. 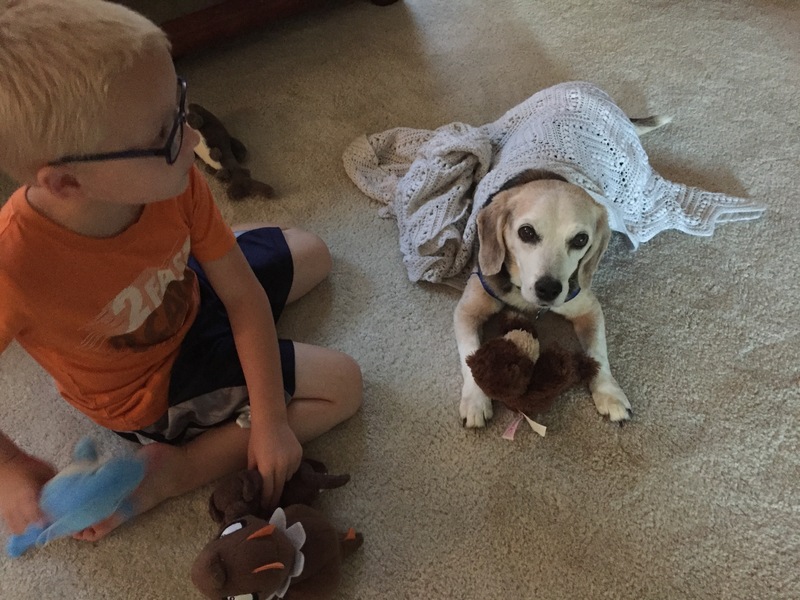 Caleb even shared his beloved blanket with Garth the other day. I hope everyone has a wonderful week, whatever you have in store!